While coups drive a majority of regime changes and are responsible for the overthrow of many democratic governments, there has been very little empirical work on the subject. Seizing Power develops a new theory of coup dynamics and outcomes, drawing on 300 hours of interviews with coup participants and an original dataset of 471 coup attempts worldwide from 1950 to 2000. 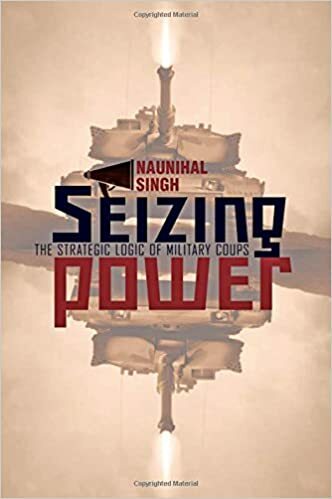 Naunihal Singh delivers a concise and empirical evaluation, arguing that understanding the dynamics of military factions is essential to predicting the success or failure of coups. Can Burkina Faso — Africa’s most coup-prone state — become a stable democracy? White Smoke And A Black Pope: Is Turkson The Church’s Future?